The Kott Gunning Royal Agricultural Society Scholarship has been awarded to 19 year old Lois Kowald who is currently studying Agribusiness at Curtin University. Dr Rob Wilson President of the RASWA says as a result of the support of Kott Gunning the RAS was able to provide the tertiary scholarship as part of its Rural Leaders program which also recognises regional leaders through the Rural Ambassador and Rural Community Achiever awards. Lois Kowald already had a background in agriculture having grown up on a sheep, cattle and cropping farm in Katanning before taking a “leap of faith” to attend the Denmark-based WA College of Agriculture. That choice has, in a way, led to this young woman carrying off the 2016 Kott Gunning Scholarship. Having partnered with the Royal Agricultural Society of WA a couple of years ago, this leading West Australian law firm established a bursary for young West Australians studying at university for a future career in the agricultural industry. This young woman’s enthusiasm for her industry has given her the drive to succeed in all areas of her life – from a number of College and university accomplishments, to her proficiency as a pianist and sportswoman- the latter she holds an accreditation in netball umpiring and national netball coaching. “My future ambitions include returning to the country where I can be involved in research incorporated directly with the farming community. I believe the connecting bodies from research to farm practice will continue to help develop small and large scale operations in order to increase business potential and agricultural sustainability. The best improvement will come from looking at a business as a whole and not focusing on any one part. Being awarded a scholarship will make a big difference to this student. “I have been supporting myself since I started studying. The scholarship means I will now be able to focus my time primarily on my study to achieve high results without having to compromise it in any way by sourcing finances,” says Lois. Dr Rob Wilson President of the RASWA says as a result of the support of Kott Gunning the RAS was able to provide the tertiary scholarship as part of its Rural Leaders program which also offers scholarships to high school students at WA’s agricultural colleges and recognises regional leaders through the Rural Ambassador and Rural Community Achiever awards. 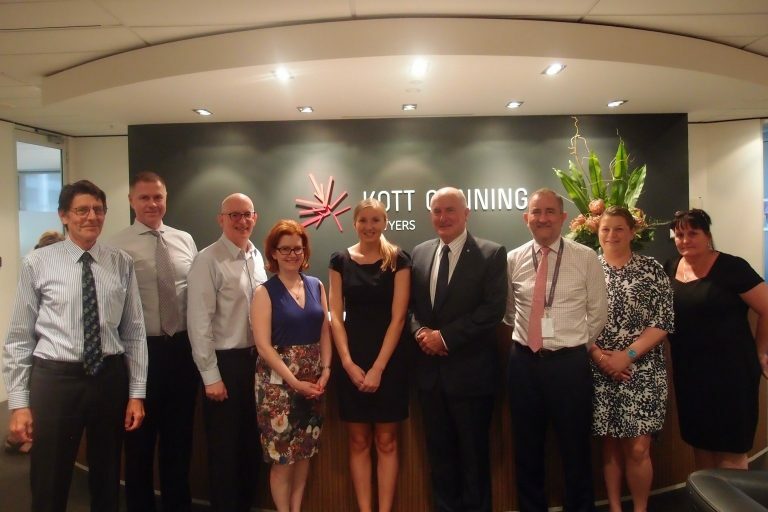 Caption: Lois Kowald and Dr Rob Wilson (centre) are pictured with members of the Kott Gunning Lawyers team at the firm’s offices in Perth.